A former top labor arbiter warned that President Obama’s Supreme Court nominee, Judge Merrick Garland, will "push the envelope" on constitutional interpretation to advance liberalism. Garland ruled in favor of the National Labor Relations Board (NLRB), the nation’s highest federal labor arbiter, on 18 of 22 cases and even when he sided with employers he demonstrated "an outlook that is generally favorable to union activity," according to an analysis from OnLabor. Peter Schaumber served as an NLRB board member from 2002 to 2010 and witnessed several of his agency’s decisions appear before Garland, the chief justice of the D.C. Circuit Court of Appeals. He said that the nominee’s jurisprudence in those cases indicates that he will "significantly tilt the balance of the court" in favor of the regulatory state and ideological liberalism. "Garland certainly on NLRB issues will defer to the agency even in circumstances that push the envelope," Schaumber told the Washington Free Beacon. "In some respects [the NLRB] seems like a narrow issue but it says lot. He came down on the wrong side." Schaumber pointed to Northeast Beverage Company v. NLRB (2009) as an example of Garland’s "results-oriented" jurisprudence. The NLRB ruled that a Rhode Island beer and soda distributor was guilty of an unfair labor practice after firing five employees who walked off the work site. Schaumber dissented in the ruling, saying that there was no evidence of an "ongoing labor dispute" that would warrant legal protections given the presence of a "no-strike clause" in the union contracts. The D.C. Circuit Court of Appeals overturned the NLRB findings with Garland dissenting. "The employees simply used working time to engage in union-related activity customarily reserved for non-working time," the Court of Appeals said in its ruling. "We hold the drivers' departure from work to obtain information is not protected by [the law]. Because the employees' walkout was unprotected, Northeast had a legitimate business reason for disciplining them. We therefore deny enforcement to the Board's order with respect to the suspensions and subsequent discharges of the Vetrano drivers." Garland dissented, saying that the courts should defer to the agency because "reasonable minds can differ about what is reasonable," and he was "unable to conclude that the Board's application of [the law] to the facts of this case was unreasonable." He also said that the NLRB had sufficiently demonstrated that the employer favored non-union workers over those belonging to the Teamsters. "Evidence is sufficient to support the conclusion that Northeast's ‘policy was to avoid hiring Union-represented employees’ and that the reasons it offered for suspending, discharging, and refusing to hire them at Bethel were pretextual," Garland wrote in his dissent. Garland’s colleagues said that Garland’s dissent was not rooted in the letter of the law. "Our dissenting colleague points to no facts that establish an ongoing labor dispute—that is, a controversy—between the drivers and Northeast," the majority wrote in a response. "As our dissenting colleague correctly notes, we defer to the Board's reasonable interpretation of its own precedents … but we will not uphold an order of the Board when it has "erred in applying established law to the facts of the case." Schaumber said that Northeast Beverage Co. v. NLRB helps illustrate one of the main conflicts in modern jurisprudence. When courts fail to crack down on misinterpretations of the law from federal agencies it opens the door to regulatory abuse and leaves citizens and Congress with no check on executive power. He said that Garland’s approach would lead agencies to "achieve desired results" at the expense of the rule of law. "Judge Garland did not exercise his authority to correct the bureaucrats who misapply the law and fulfill the court’s duty to interpret the law," he said. "Everything I’ve seen suggests he would do the same on the Supreme Court." 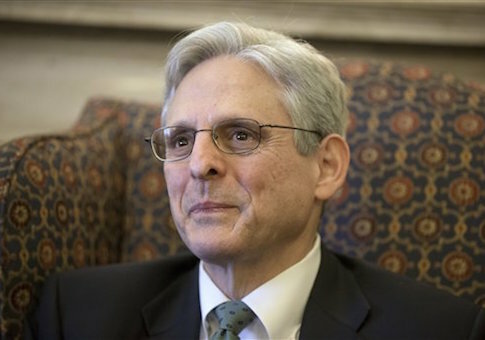 Obama nominated Garland to replace the recently departed Justice Antonin Scalia on March 16. Republicans promised to block any nomination in the Senate until after the November election. This entry was posted in Issues and tagged NLRB, Supreme Court, Unions. Bookmark the permalink.